A record starting field of 314 runners ably supported by a team of 97 volunteers 'enjoyed' one of the hottest events we've ever staged. 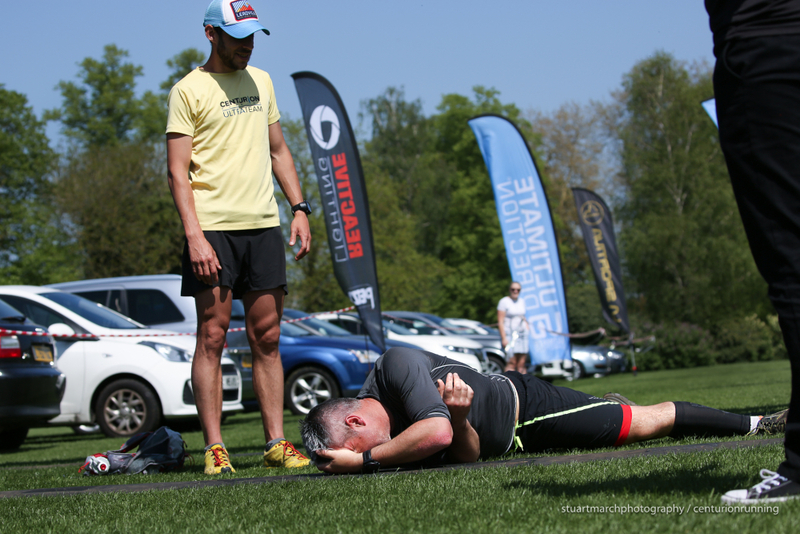 Blazing sunshine during both Saturday and Sunday resulted in tougher than usual conditions for runners but potentially the best volunteering conditions to date! Setting off from Richmond Upon Thames at 1000 on the Saturday morning, we were looking forward to a really exciting womens race, a seemingly wide open mens race and the usual raft of incredible stories from the full breadth of the field looking to complete the journey to Oxford within 28 hours. Immediately, times were slower than we've seen in the past. Check Point 1 at our new, old location back at Cowey Sale in Walton now mile 12, saw Alex Whearity and Stephen Hobbs side by side out in front in 1:33 elapsed. Though slower than usual, the pace for most of the field seemed too fast for the conditions, temperatures already in the low 20s and expected to reach 26 by the late afternoon. The decimation of food and particularly Tailwind supplies this early on reflected the fact that many were already working hard to stay on top of fueling and hydration. 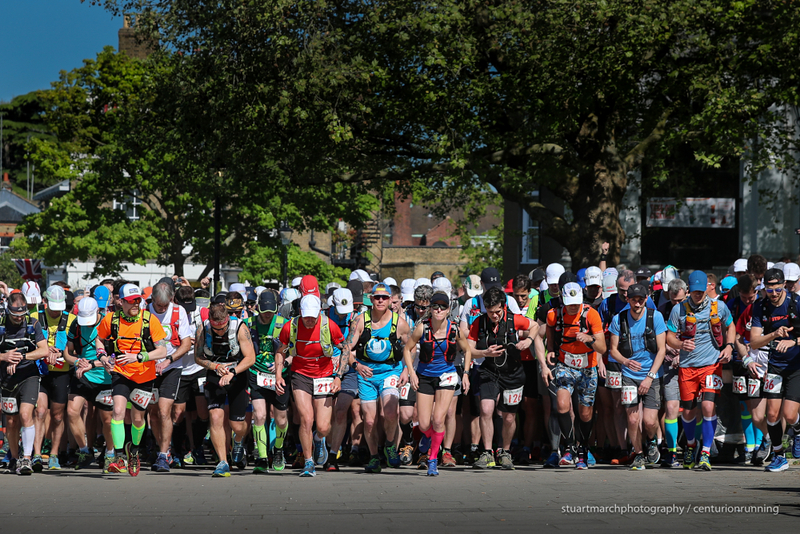 At this event we usually see a few early front runners setting a blistering pace, with the shape of the race settling down to a more accurate long term picture by around Hurley mile 44. That was certainly the case this time as the eventual winner, Peter Windross emerged at Hurley first and held that position right through to the finish. He seemed shocked to be out front, but Peter has recorded some fine and very consistent performances in the past couple of years and this day was testament to a well judged race, drawn from experience. 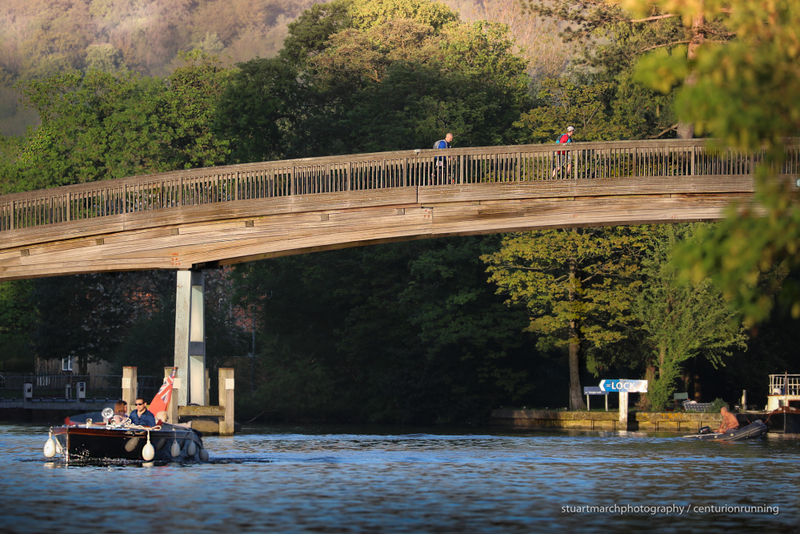 He arrived in to Henley mile 51 in 7:21, by which point his 19 minute lead seemed fairly secure and he continued to put time in to the rest of the field all the way to the finish. In fact by mile 70 his lead was as much as 50 minutes and his winning time of 15:49 was streets ahead of the competition. A fantastic well executed win for Peter. 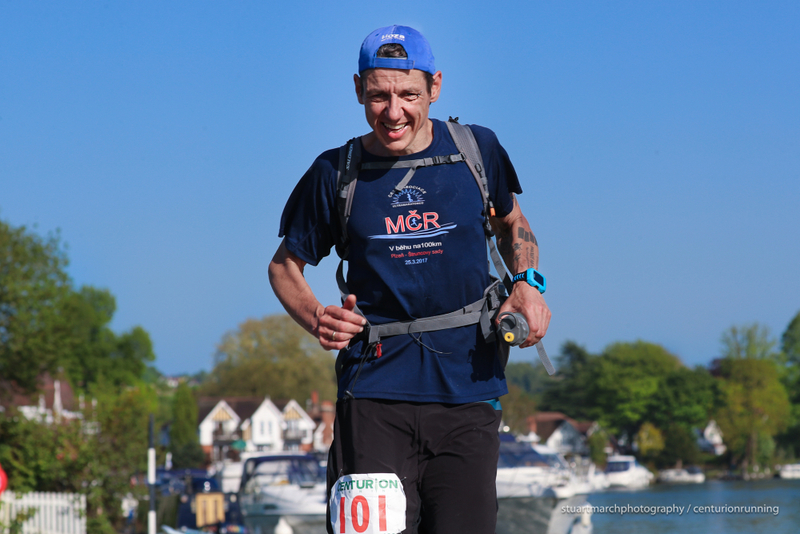 Behind him, the pairing of Stephen Hobbs and Peter Jackson pushed together from shortly after the half way point, through to around 20 miles to go, at which point the link was broken and Peter Jackson ran strong through the final miles to come home second in 16:42. Stephen picked up third in 17:55. In the womens race the seemingly deep competition was out of the picture by Reading, mile 58, leaving just two clear contenders for the victory from that point on. Sam Amend, Course Record holder suffered in the heat and was forced to withdraw. 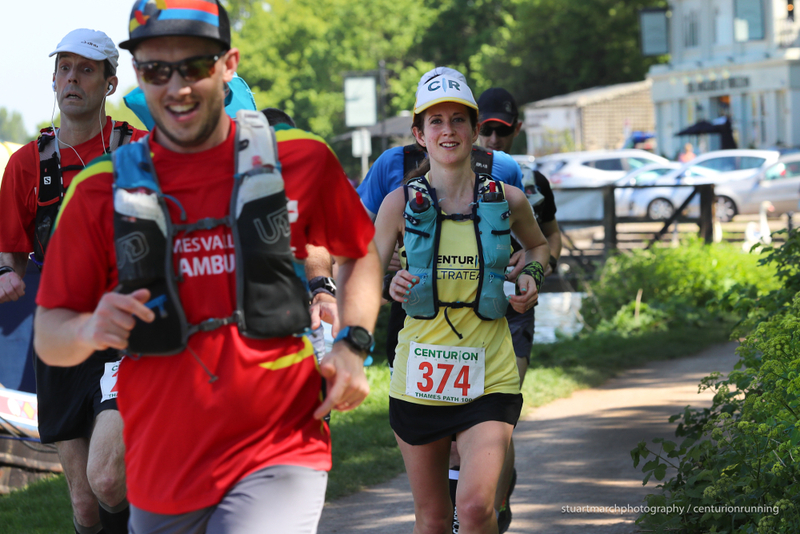 Our own Centurion Ultra Team Runner Cat Simpson pulled over early with a damaged foot, gutted at not having had time to recover from a bike crash the previous week. And Mari Mauland, last years champion was also forced out with stomach issues. Therese Falk - winner of Tooting Bec 24hr last year - looked strong throughout and untroubled on her path to eventual victory in 18:44. 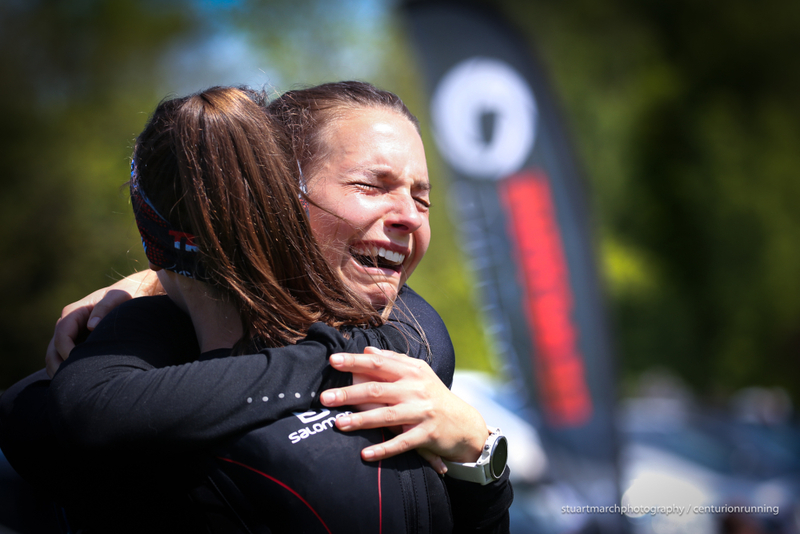 It appeared very much as if she had a lot more to give, but held back a little because she is representing Norway at the European 24 hour Championships in just 3 weeks time. We wish her the best of luck there. Second place went to Laura Swanton, who ran brilliantly to Streatley and closed the gap on Therese for a brief period before slowing in the final third and coming home a fantastic second in 19:36. 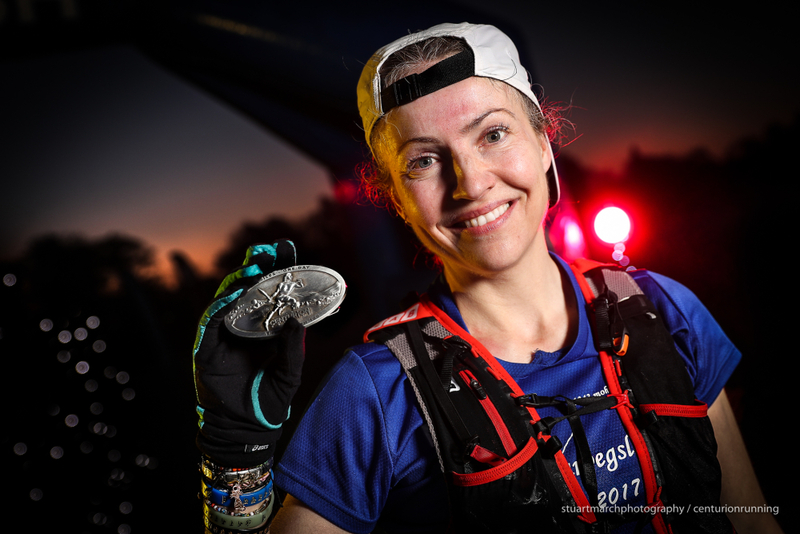 Third place went to regular Kit-Yi Greene who ran a smart race as ever and took her home first Centurion podium finish in just over 21 hours. From the sharp end, through the mid pack and in to the back of the field, the number of drop outs during the first afternoon and overnight was high. We saw the second lowest finish rate we've had at this event, with 42% of the starters eventually succumbing before reaching the finish. That figure is beaten only by the flood course year of 2013 when 55% crossed the line (our record low finish rate at any 100 was 43% back at the 2012 Winter 100). It was the heat that primarily took it's toll with many suffering stomach problems or earlier than normal fatigue. Those that pushed on through that first day found a cool but calm night awaited them and for those that had held something back, conditions later on made for very good going. In to the second morning and the heat began climbing again for those back on course and there were some very tough final miles indeed. 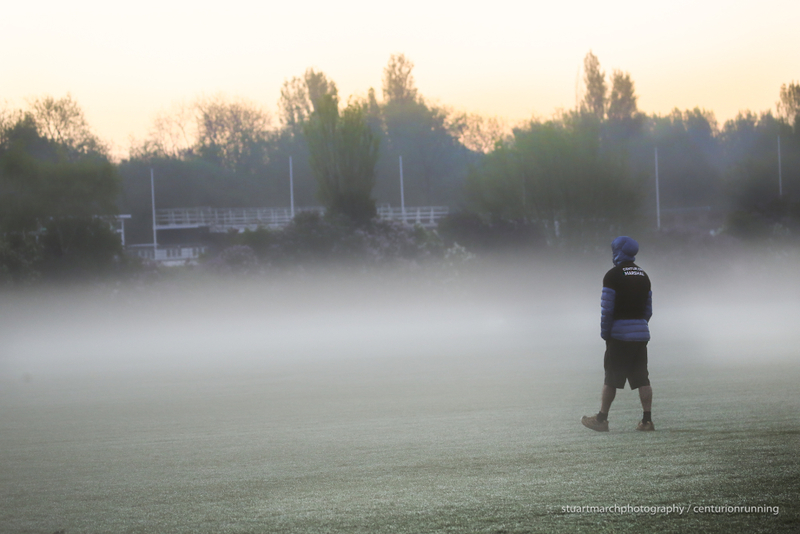 For the warriors out looking to come in during those final few hours, the temperature again reached 26 degrees. Our final finisher Brent Mullane brough the event to a close collapsing between the timing mats and requiring one final roll to record his finish time of 27:51, 9 minutes to spare. 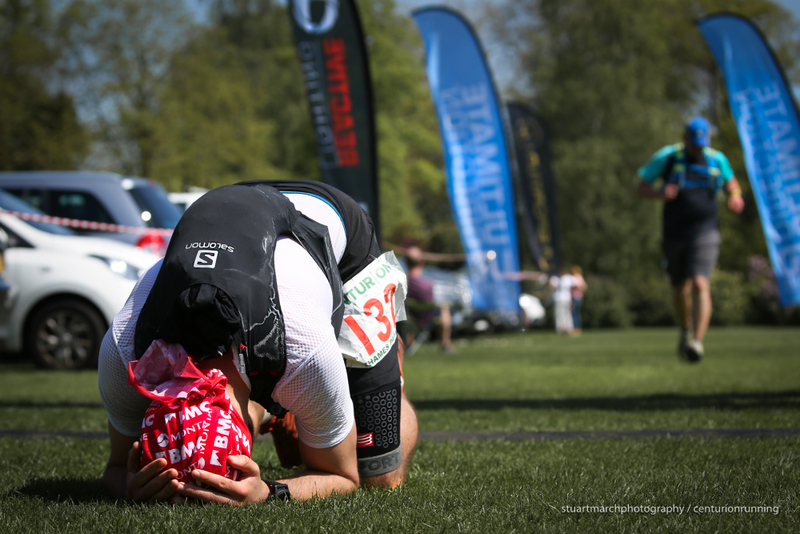 He has just under two weeks to recover before theNDW50, being as it is that he is attempting the double slam. Brent Mullane rolls across the line with 9 minutes to spare. 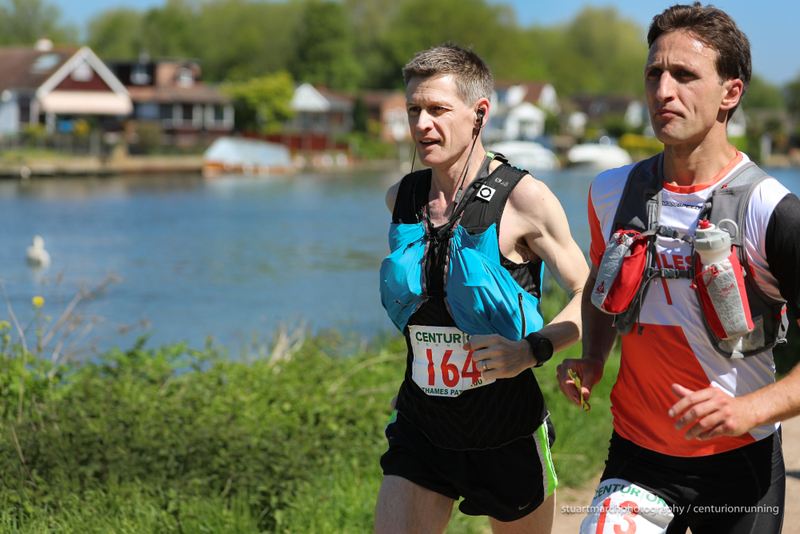 Notable mentions go to Markus Flick who recorded his 7th straight finish - he has finished all editions of the TP100 and W/A100 and travels over from Germany each time to take part. This year he was found asleep at Radley by the RD but was awoken and finished with plenty of time to spare! And of course to Ken Fancett, the only other person who can claim the same. 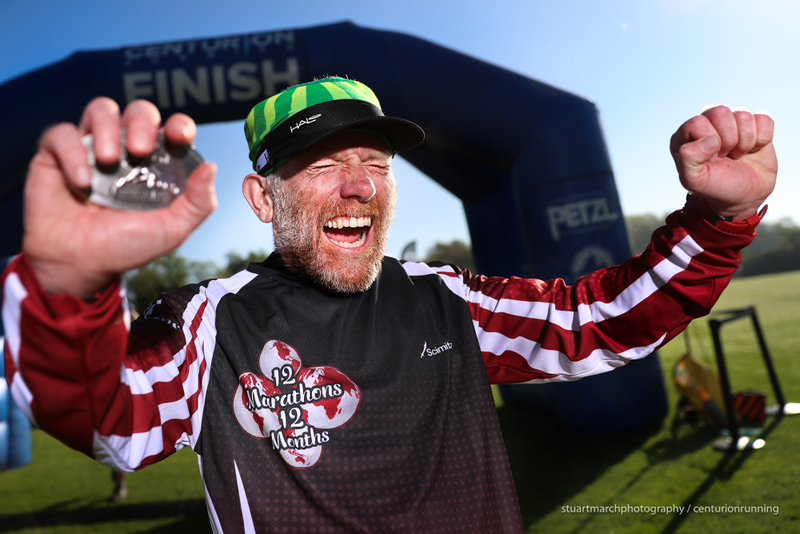 Ken finished his 24th 100 miler with us this weekend and yet again won his age category. Out of the 26 total we have organised. He has never dropped at one of our events. In other age category awards, John Fanshawe won the MV70's coming home under 24 hours. 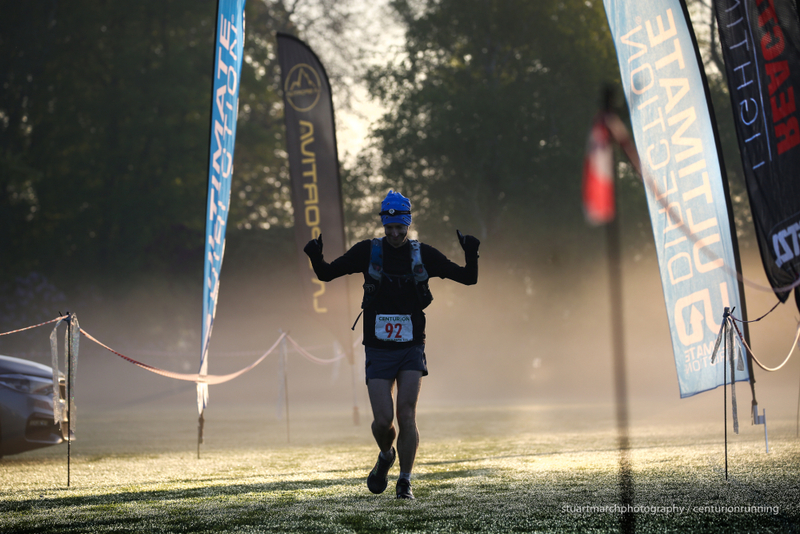 John was also our first ever MV70 finisher and now holds the course records for his category at the NDW100, A100 and TP100. For the women, Mandy Foyster came home first FV50 in 24:46. Huge thanks to the incredible support of the volunteers out on course, without whom none of this would be possible. 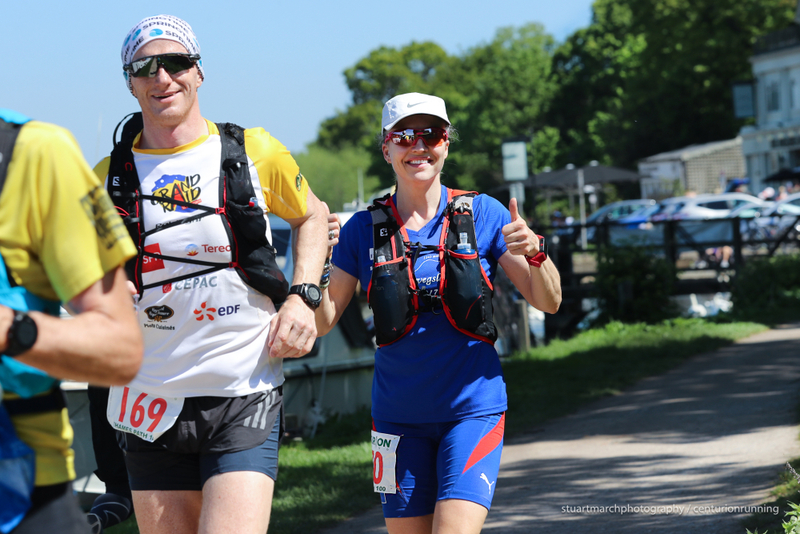 Firstly Tailwind Nutrition - we got through thousands of servings this weekend and the man in charge of it all at Tailwind UK, Mike Julien, ran a superbly executed race to climb from 292nd at CP1 to finish 114th. Secondly, Runderwear, who managed our Reading Check Point for us so brilliantly as always.